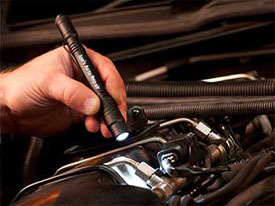 FlashlightDistributor.com is now offering "No Minimum" professional laser engraving on select Streamlight® flashlights! Put your company logo, company name, favorite saying, ID number, phone number or website address on your light. Logos must be camera-ready artwork. A $35 fee will be applied if the artwork requires any modification to fix the logo to make it engravable. For logo or art engraving, contact us at 1-877-749-5110 for instructions on how to submit your artwork. 1 $4.98 ea. 9 $3.00 ea. 2 $4.70 ea. 10 $2.70 ea. 3 $4.50 ea. 11 $2.50 ea. 4 $4.20 ea. 12 $2.20 ea. 5 $4.00 ea. 13 $2.00 ea. 6 $3.70 ea. 14 $1.70 ea. 7 $3.50 ea. 15+ $1.50 ea. Add a light to your shopping cart. Click on the engraving image to the right of your light. Follow the instructions to enter your text. Press submit and your engraving is added. Great for gifts, corporate giveaways or inventory identification. Order as few as one light or as many as you like! There are no setup fees on "No Minimum Laser Engraving".